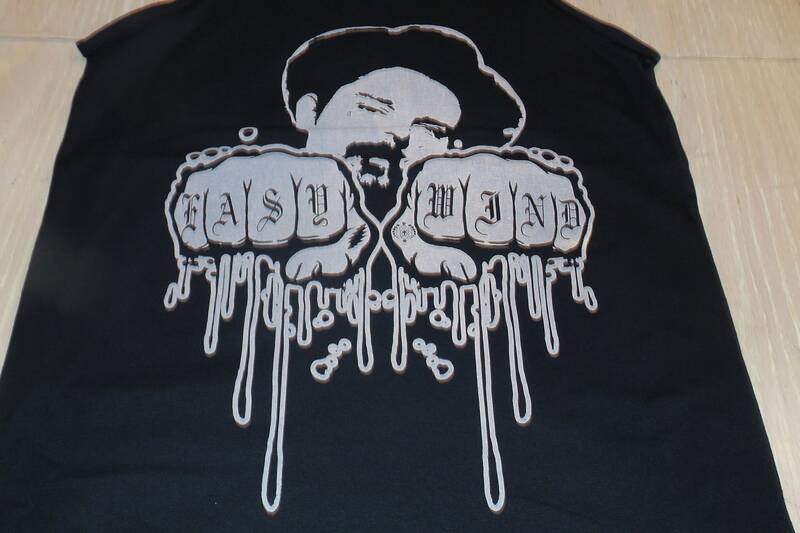 Front: Picture of Pig Pen and fists with Easy Wind on the knuckles. 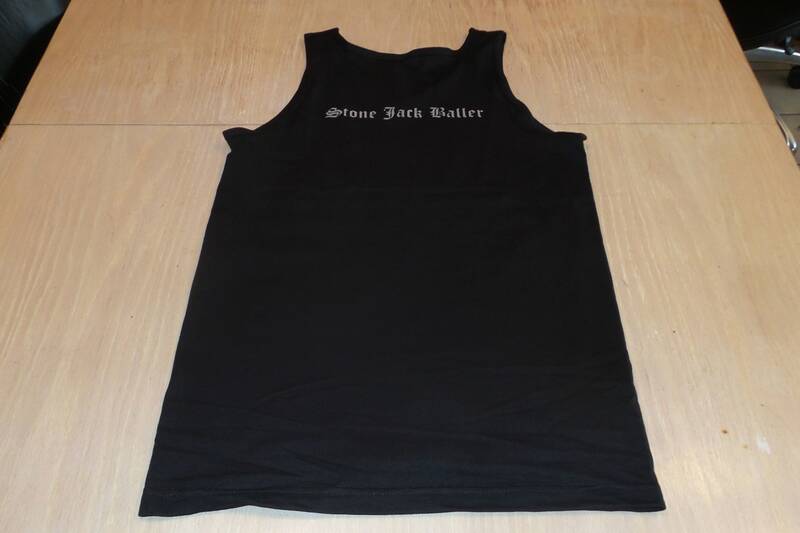 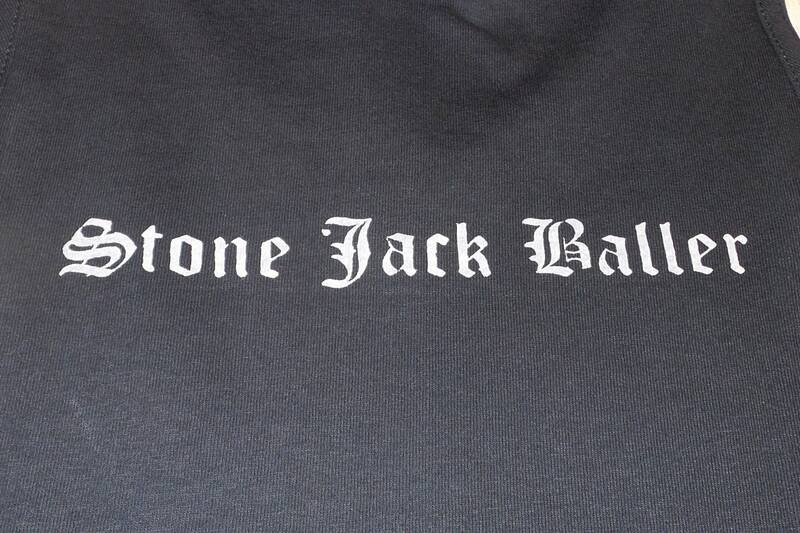 Back: Says "Stone Jack Baller" in old english lettering. 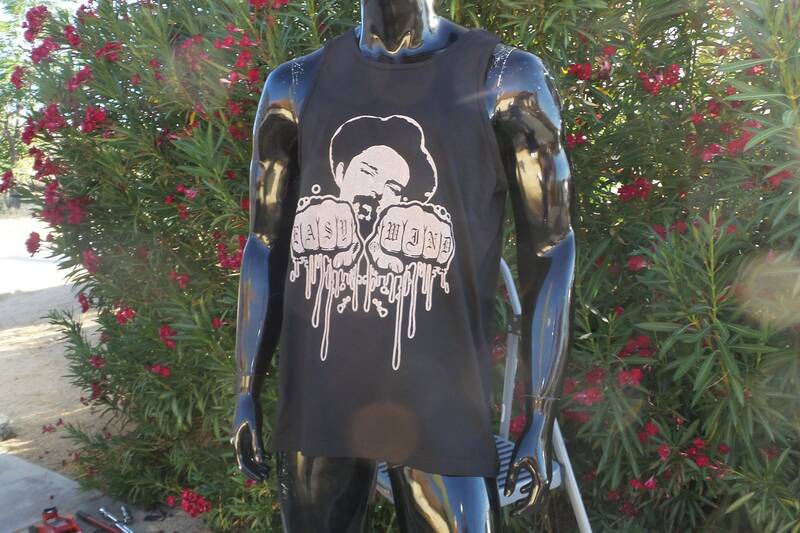 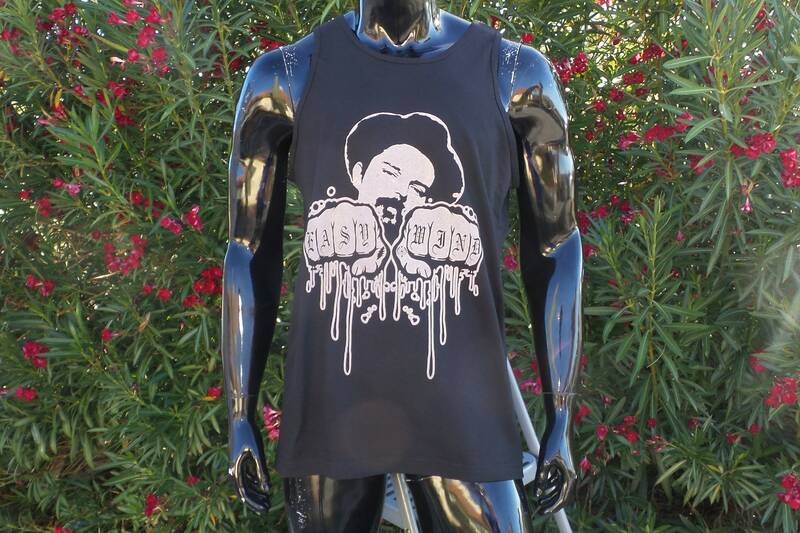 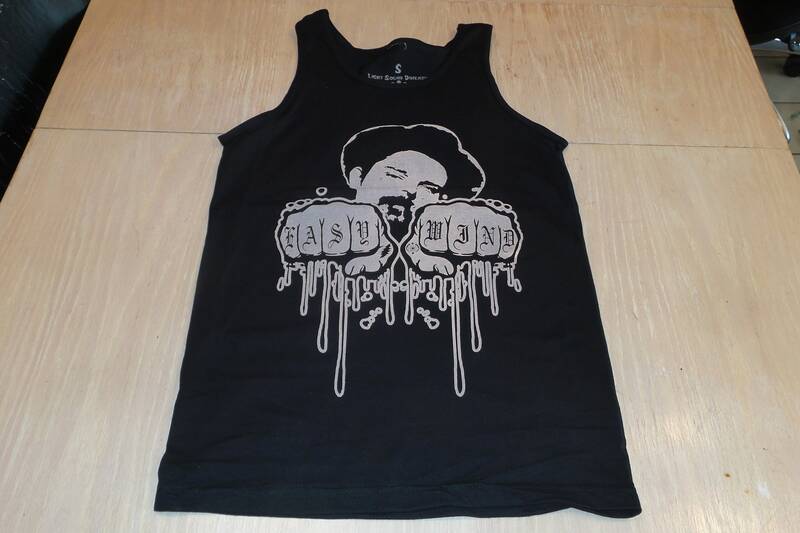 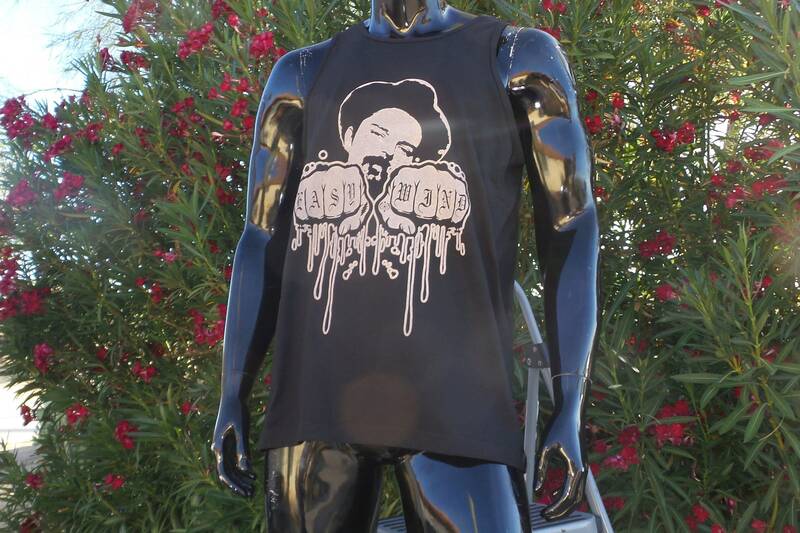 Printed in off-white ink on a black tank top.